WOW! Cheap flights to whole Mexico: Cancun, Mexico City, Acapulco, Cozumel from €336! Iberia now offers super cheap flights to basically all major destinations in Mexico! Return flights from Brussels or Vienna to Mexico start at only €354! You can fly to Cancun (€354), Mexico City (€355), Puerto Vallarta (€357), Cozumel (€354) or San Jose del Cabo (€359), Merida, Tijuana, Acapulco and other cities for 50% of regular price with this deal! 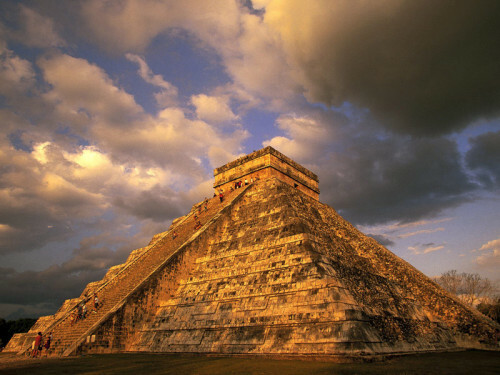 At the same time Lufthansa and Air Canada offer super cheap flights from Paris to Cancun and Mexico City from only €336! Departures from Brussels are slightly cheaper than from Vienna but all destinations are available for under €400 which is amazing deal. Travel dates make this deal even better: from January to June 2018 which includes Winter in Europe, a perfect opportunity to soak in some Mexican sun! « Cheap direct flights to Jamaica for only €300!